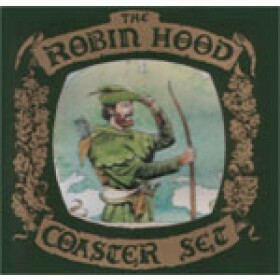 Six elegant coasters depicting Robin Hood and five associates. Made in Nottinghamshire England, Artwork by Peter Dennis. May be used as coasters or as fridge magnets.